Give us call and talk to a specialist who can help you identify the best Pro Video products for your needs! Our engineers bring a wealth of knowledge, experience and expertise in implementing end to end 3D, 4K, 2K, High-definition or Standard Definition workflows. 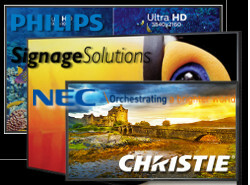 As a result, VidCom has evolved as a leader in Professional Video systems design and integration. VidCom fosters a culture of flexibility and adaptability which enables us to navigate through the rapidly changing products and market conditions inherent in the high tech industry. With a mantra of honesty, integrity and respect, VidCom has developed trusting, long-term partnerships with both Clients and Manufacturers.